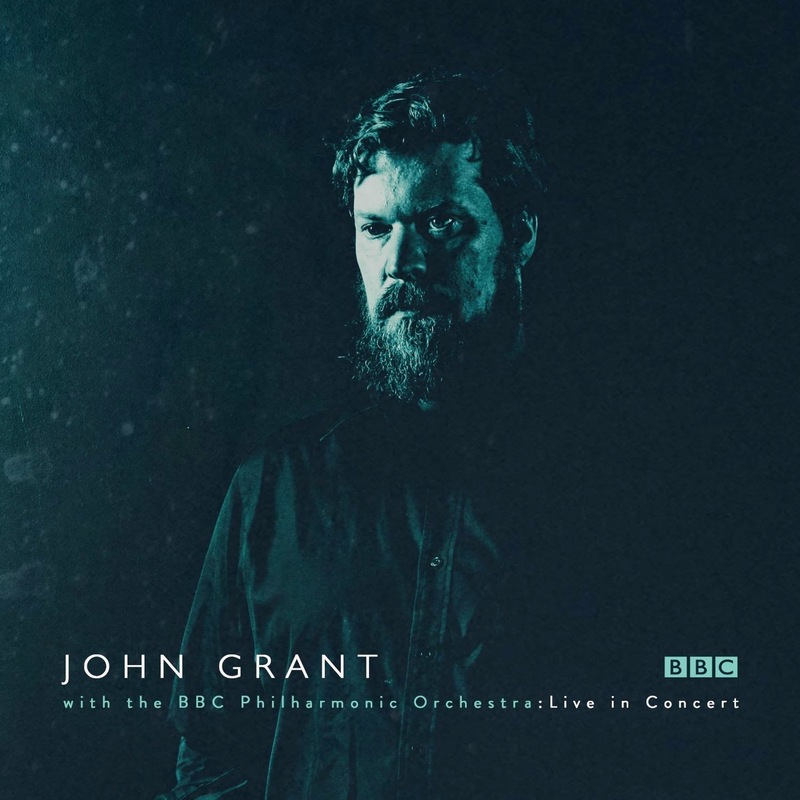 Back in October, John Grant performed a special concert with the BBC's Philharmonic Orchestra at their Media City headquarters in Salford. The whole show was recorded and has now been released by Bella Union. His already intimate personal songs are laid in even starker contrast set to the strings and arrangements of the orchestra. As ex-frontman of cult underground band The Czars, John Grant has enjoyed significant critical acclaim for his two solo albums to date - 2010's Queen Of Denmark and 2013's Pale Green Ghosts. Those records deal with the emotions and issues faced by a man coming to terms with past struggles against addiction and his coming to terms with and dealing with the reaction to his sexuality and the discovery that he is HIV-positive. As you'd expect, they're extremely personal, to the point of the being painfully so for both artist and listener, but Grant's stoicism in the face of everything and willingness to lay himself bare make them albums you cannot fail to be immersed in, you want to put your arms round his giant frame and squeeze everything out of him. The set mixes songs from both albums over the course of nearly an hour and a half - nine from Queen Of Denmark, six from Pale Green Ghosts and one song, Drug, from The Czars. The albums are tailor-made for Fiona Brice's orchestral arrangements and readings, which retain the atmosphere and intensity of the originals whilst allowing Grant to pour his heart out over the embellishments that the orchestra adds, particularly on tracks like Where Dreams Go To Die that feel like some sort of pre-apocalypse movie soundtrack and GMF where the strings dance behind his bold assertion that "I am the greatest mother fucker that you're ever going to meet". Dramatic moments on the records are made even more so, the intimacy of the quieter moments retained, but set to the luscious strings of the orchestra. On Pale Green Ghosts and You Don't Have To, they even retain some of the electronic stylings of the tracks and whilst replacing the remainder with orchestral effects without it sounding contrived or clumsy or losing any of the imperious impact of the originals. On the latter, they then incorporate elements of Rachmaninov into the extended outro, a piece that Grant tells us was part of the development of his personality growing up. Grant doesn't speak much for the first few songs, but once he overcomes that shyness you'd never associate with such an eloquent, intelligent man, he starts to tell stories of songs. He tells of Marz, which has lyrics based on a menu in a sweet shop in his home town of Buchanan that he'd recently visited with Petur from his band, of the graveyard back in Michigan where his grandparents are buried in Fireflies, of the theocracy / hypocrisy of the US political system in Glacier. Many bands have had their works performed with an orchestra with differing results. Grant's raw (if you can call the originals that) is perfect for this interpretation. Other than the obvious audience applause between songs, it doesn't feel like a live album trying to recreate and reinterpret songs well-known to the audience, but that this is how these songs were born such is the natural fit between Grant's tales, Brice's readings of them and the performance of the orchestra. As a benchmark of just how well it works, it matches, if not surpasses, the reworking of Elbow's The Seldom Seen Kid by the same orchestra, which is seen as the high point of bands releasing this type of collaborative performance.